Half a mile walk from Staines train station and is a few minutes off J13 of the M25 by car. There is a Vue cinema on the retail park. Two Rivers retail park has just over a thousand car parking spaces and it doesn't matter if you go for the South or North car park etc, as anywhere will be just a moment's walk from Nando's. Priced at £1/1hr, £1.80/2hrs, £2.50/3hrs - but also free parking after 6pm. 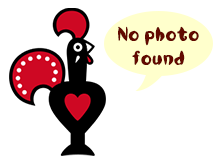 I had a wonderful meal at Staines Nando's after a job in Surrey that I finished around 3.30. There is parking right outside Nando's in an outdoor car park at £1 an hour which is reasonable. This is my nearest branch but this was my first visit. the main reason for this is the location. it's right by Vue cinema so always too busy. and last night was just the same. customers milling about by the entrance, inside and out, so difficult to figure out who is queuing for what!!! the greeter used to work at Feltham. apparently. he was extremely friendly and informative. we had quite a wait for a table, it was situated upstairs. it's all a bit squished up there. Myself and my sister decided to go nandos in staines. Service was fast and staff very friendly. specially joao Pedro who really looked after us, very helpful and made us feel comfortable. Should be proud to have such a great member of staff who looks like he really enjoys his job. Place is normally full of pikeys, also the food never ever seems to be consistent normally burnt would rather take the extra 20 minutes and drive to Windsor from now on. This branch is located on the Two Rivers retail park, which is only half a mile walk from Staines train station and is just a few minutes off J13 of the M25 so easily accessible. There are just over a thousand car parking spaces and it doesn't matter if you go for the South or North car park etc, as anywhere will be just a moment's walk from Nando's! Reasonably priced too at £1 for the first hour, £1.8- up to 2, £2.50 up to 3 hours - but also free parking after 6pm. This store is on the edge of 3 rivers shopping complex, with a multitude of open air on the level parking right outside. Charges during the day and free after 6pm, pay on exit. A very new building with large window front, double height ceiling at front with upstairs toilets at rear and additional upstairs seating at side. Good mix of booths and tables and main till serving hatch is at the back. Good decoration and friendly staff. In the centre of the town, Stains Nando's was the 41st in the UK to open, and it's alright. Parking in a nearby multi-storey, we turned up at about 4pm on a Sunday afternoon, and got a table right away. The member of staff who pointed us upstairs even gave us crayons and colouring pictures. The upstairs area at first reminded me a bit of Manchester Printworks, but luckily the seating layout was where the similarities ended. There is a Cinema next door, right next to the parking, station only five minute walk, i've visited lots of nandos and this one is always and has always been the best. The foods the nicest here-portions, presentation, taste, chicken never dry, massive chunks of feta on the salad! The only thing is downstairs right hand corner is a bit dark!